The 30 seconds of light falsetto vocals and soft piano chords that kick off Audio Learning Center’s second album are a bit misleading; the first few strands of opener “Waking Up With Eyes Still Closed” are in no way indicative of the remaining 42 minutes. For the rest of the album, vocalist Chris Brady’s voice soars scratchily over his aggressively melodic bass lines, guitarist Steven Birch’s simple but well-placed arpeggios and power chords, and Paul Johnson’s often minimal (not to be confused with quiet) drumming. 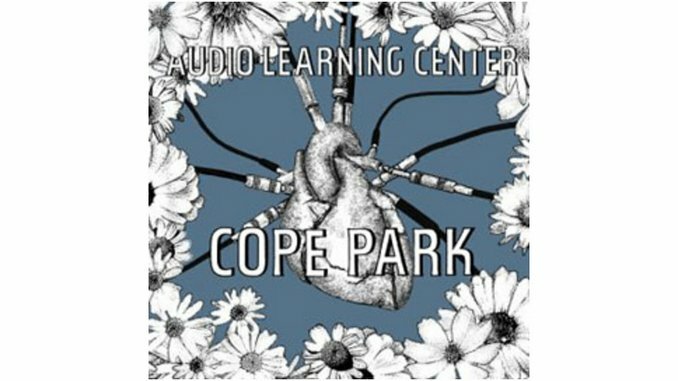 Though you’ll find a few more upbeat numbers, most of Cope Park is dark, intense and ultimately captivating. Audio Learning Center’s primary strength is the instrumental interplay between Brady and Birch. The pair locks into an unsettling, angular melody on “The Neverwills” that calls to mind San Diego band No Knife. “You Get That From Your Mother” finds the two playing slithering, intertwining lines. Some may tire of both the repetition of some songs and the raw, unrestrained vocals throughout, but Brady’s unconventional lyrics and strong songwriting skills will appeal to fans of indie rock’s slightly heavier side.